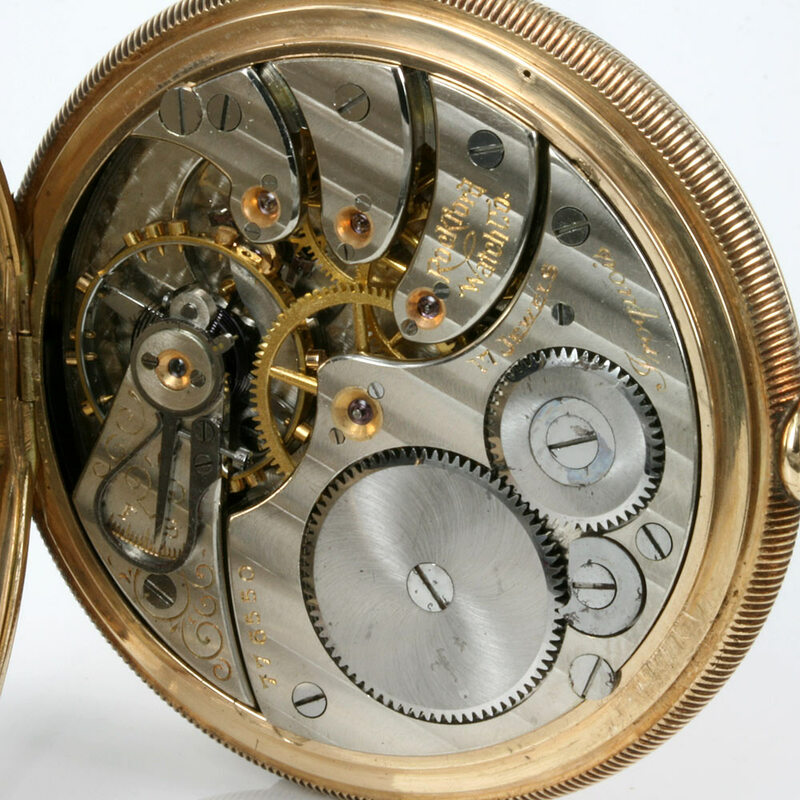 There are modern pocket watches being made today that may look the part, however they simply just don’t have the detail and quality of a genuine antique pocket watch let alone the heft of one that is made in solid gold and how good it feels to hold in the palm of your hand such as this one here. 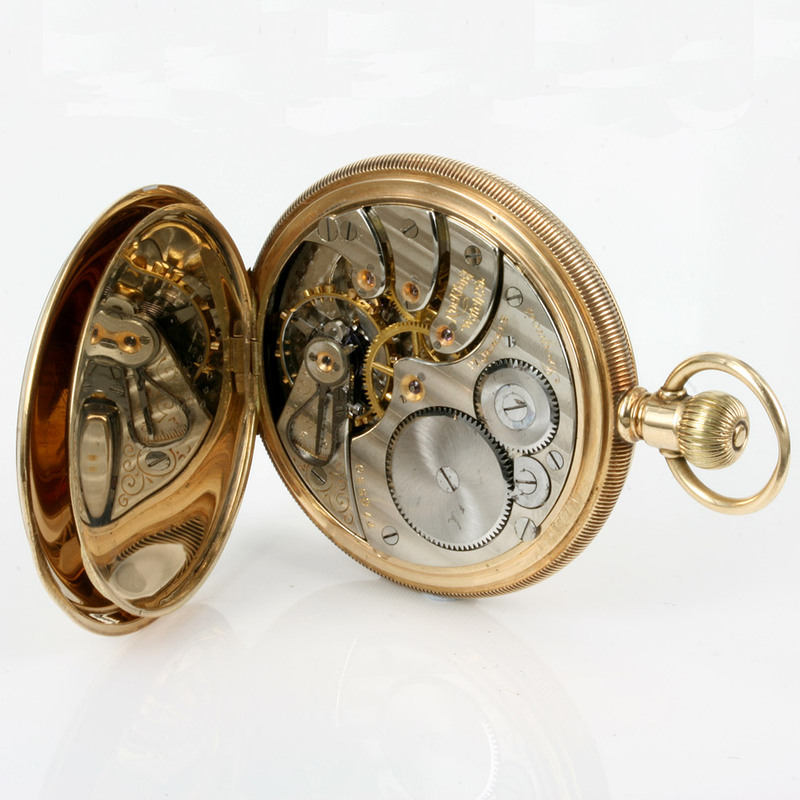 Made by the Rockford in 1908, this company started in 1873 and until 1915 when they closed, they became renown for producing very high quality and equally as reliable pocket watches such as can be seen inside this Rockford pocket watch. A full gents sized pocket watch, the case is made of 14ct yellow gold and measures 50mm across by 70mm from the bottom to the top of the bow and in total weighs 97.2 grams which feels so good to hold. The engine turned case itself is in superb condition with nice crisp engine turning and the hinges are in excellent condition including the front cover that springs open perfectly and stops at 90° as it should showing just how well this pocket watch has been looked after and the quality that went into making this pocket watch over a century ago. The white enamel dial is spotless and so easy to read with the black numerals and sub-seconds down the bottom and inside the movement is just spectacular to admire. Fitted with a Rockford 17 jewelled Iroquois movement that includes a high quality micro-regulator, the movement has just undergone a full restoration and service and keeps perfect time and comes with our twelve month warranty. 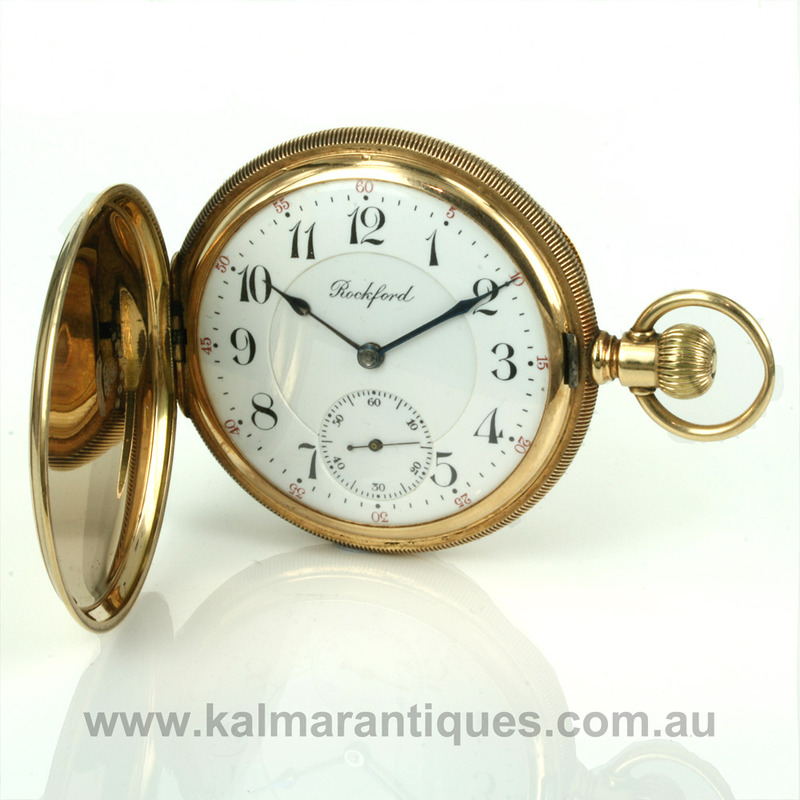 Perfect for a collection or for a special gift for that hard to buy for man, this antique solid gold pocket watch by Rockford is just a fantastic idea.